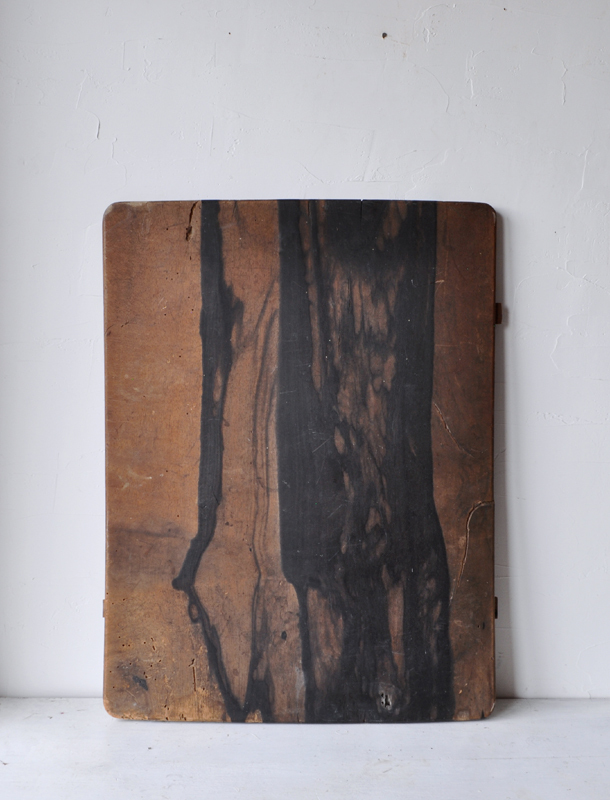 KUROGAKI – Old Japanese black persimmon wood board (Dealer: hotoke antiques) – Aged Japanese persimmon wood (more than hundreds years old) with rare accidental grain pattern of black called “Kurogaki”. Boldly and aesthetically cut from a single wood of kurogaki, made for use of floorboard (for flower arrangement) or etc. Highly valued for not only its scarcity but its uniqueness of such magnificent composition. The condition is as seen. (surface warped slightly) Solid and heavy. Free shipping.